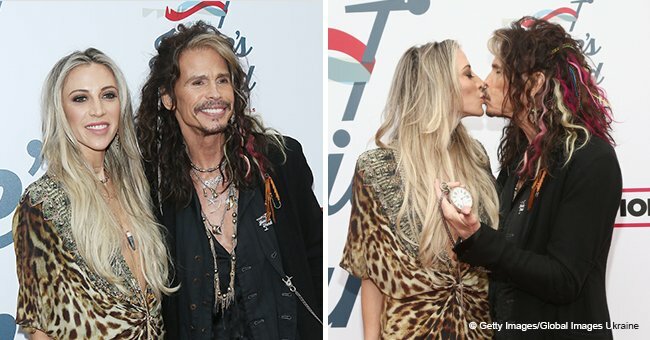 With Steven Tyler and his girlfriend, Aimee Preston, having graced many red carpets during 2019 award season, it turns out there is a lot me to Aimee besides being Steven’s much younger ex-employee. Aimee was Steven’s personal assistant before they started their romance in 2015, and seemed as in love at the iHeartRadio Awards held on March 15 as when they started dating. 30-year-old Aimee looked gorgeous in a shimmering top with matching baggy pants and leopard print shoes. The couple made no attempt in hiding their PDA and affectionately kissed on the red carpet as they posed for pictures. On February 18, 2019, the pair showed up at the Hollywood Music Awards in matching black outfits and struggled to keep their hands to themselves even then. Aimee’s high collared black dress had a slit the revealed her long beautiful legs while Steven looked dashing in a black coat with black pants, a retro black button down shirt and the customary top hat. 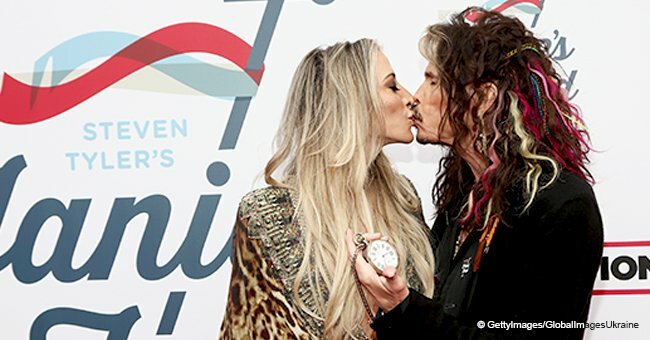 The couple first met in 2012 when Aimee started working as the “Aerosmith” lead singer’s personal assistant based in Los Angeles. It came as no surprise that Steven decided to hire the very capable Aimee, who in previous years, had been a personal assistant to Victoria Beckham and Marla Maples. The 30-year-old attended the Denver School of Arts and earned an associate of Arts in Musical Theatre from the American Musical and Dramatic Academy in 2007. When Aimee and Steven began dating, she started working for XIX Entertainment, a company with Steven as one of its clients. Steven and Aimee made their first public appearance as a couple to an Oscar viewing party to Elton John’s AIDS foundation late in February 2016. By December 2016, engagement rumors did the rounds when Aimee wore a ring on her wedding finger while suspicions resurfaced again in July 2017. Whether engaged or not, the pair seem to make each other happy. 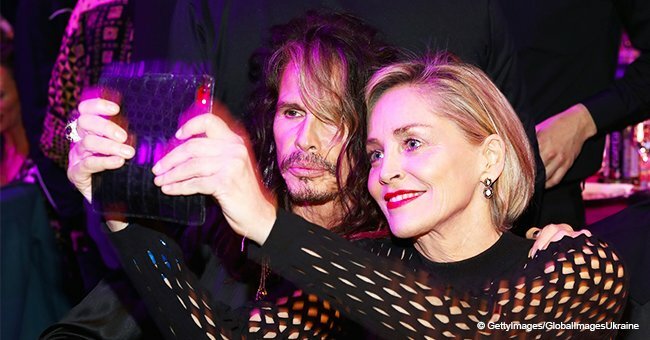 The couple seemed particularly affectionate when they attended Steven’s Grammy Awards viewing party in benefit of Janie’s Fund at Ralegh Studios in Hollywood on February 10. While watching the couple, their age difference of 40 years seems non-existent. 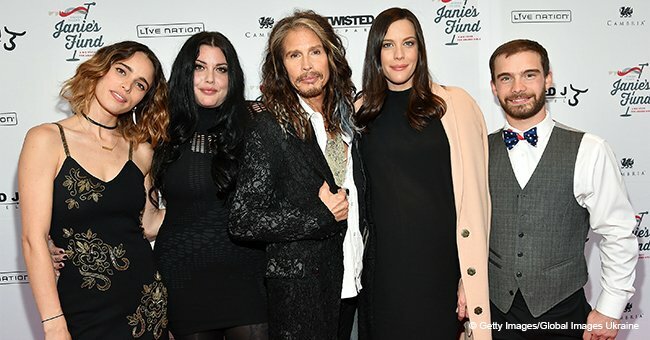 Aged at 70 years, Steven’s daughter, Liv Tyler at 41 years old, is still 11 years older than Aimee. In total Steven has four children. Apart from Liv, Steven shares daughter Chelsea and his son Taj with clothing designer Teresa Barrick and has another daughter with Cyrinda Foxe named Mia. 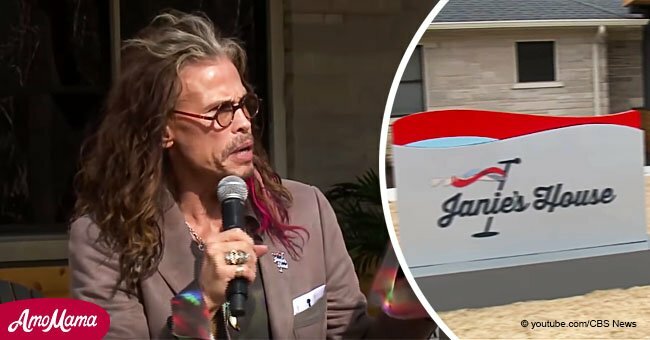 The iconic singer seems to have a soft spot for helping women as he opened a special home for abused women after he donated $500,000 towards its renovation in February 2019.